The City of St. Charles firmly believes in supporting military service and celebrating our military service members—both past and present. 30 of our employees, or about 10% of our work force, are either veterans or active duty service members. We’re very proud of that. They work in several departments throughout our organization: Information Systems, Public Works, Building Code & Enforcement, Police and Fire. 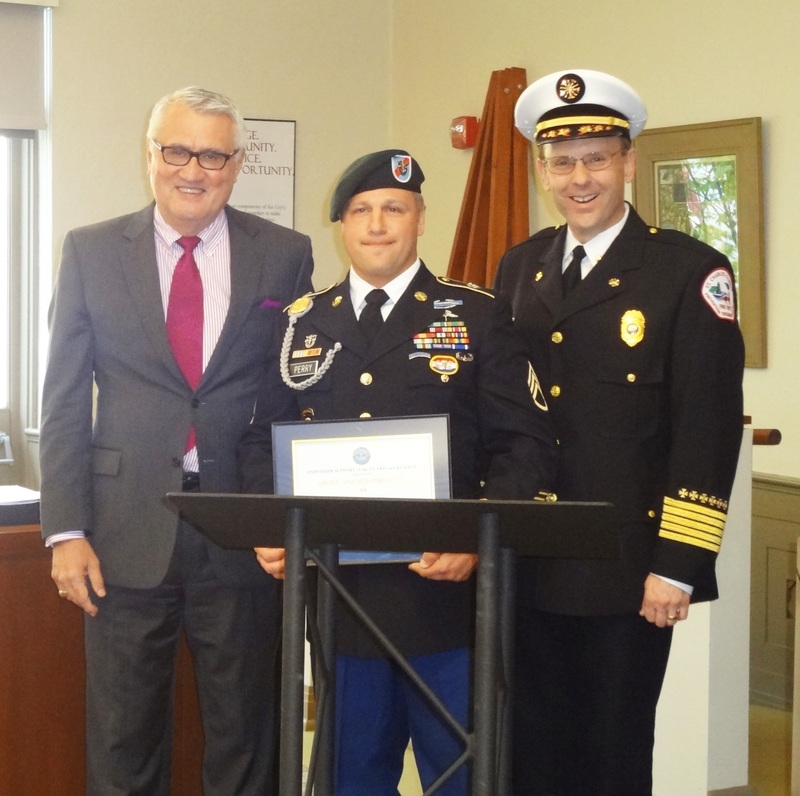 Recently, both the St. Charles Fire and Police Departments were recognized for their support of military employees. The Employer Support of the Guard and Reserve, a program of the Department of Defense, presented the departments with awards at two recent City Council meetings. Both departments were nominated for the awards by two active duty National Guardsmen. At the May 15 City Council meeting, Firefighter Paramedic Drew Perry accepted the Above and Beyond Award on behalf of the Fire Department, along with Mayor Ray Rogina and Fire Chief Joe Schelstreet. Perry is being deployed soon to serve his U.S. Army National Guard service commitment, which is expected to last nine months. 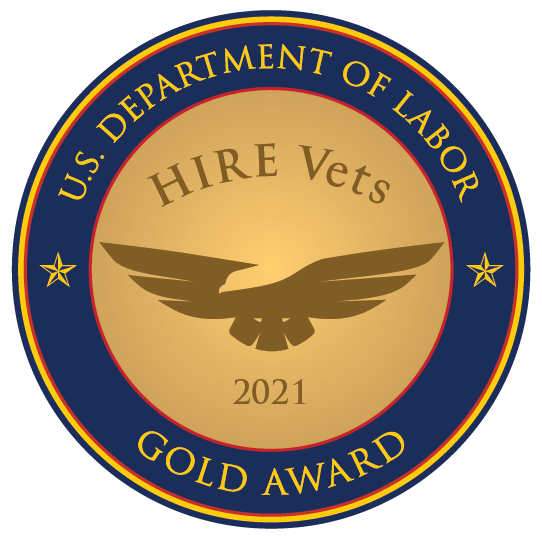 The Above and Beyond Award recognizes employers who have gone above and beyond the legal requirements of employing military service members. 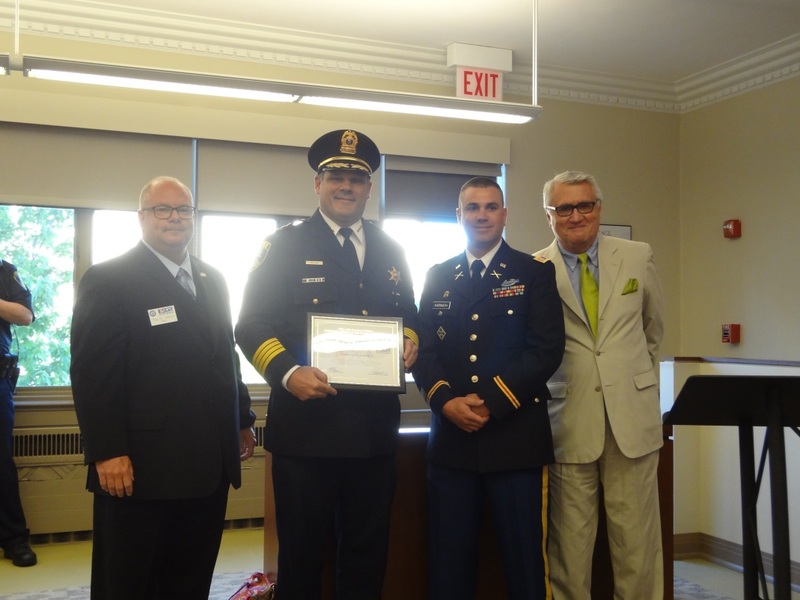 Then, at the June 5 City Council meeting, Police Chief Jim Keegan accepted the Patriot Award on behalf of the Police Department, along with Officer Michael Karnath and Mayor Rogina. Officer Karnath served in Iraq and has served in the Wisconsin National Guard since 2010. Karnath nominated Chief Keegan for accommodating his continued service in the National Guard. The Patriot Award recognizes efforts made to support service members, including supporting flexible schedules and time off prior to and after deployment. From left to right: Mayor Ray Rogina, Firefighter Paramedic Drew Perry, and Fire Chief Joe Schelstreet with the Above and Beyond Award, presented to SCFD at the May 15 City Council Meeting. From left to right: Troy Stinson of the ESGR, Police Chief Jim Keegan, Officer Michael Karnath, and Mayor Ray Rogina with the Patriot Award, presented to Chief Keegan at the June 5 City Council meeting.